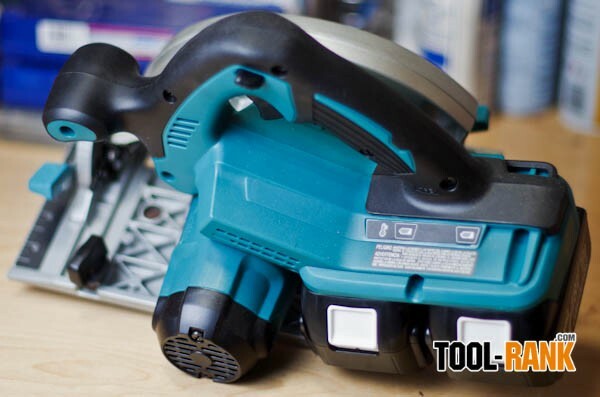 One tool that everyone wants to be able to have as cordless, is the circular saw, and cordless multi-kits have been including them for years. But were these cordless circular saws any good? Nope. For years we have had to suffer with cordless saws that were so underpowered we wondered why we even bothered lugging them around—because they were convenient, that’s why. 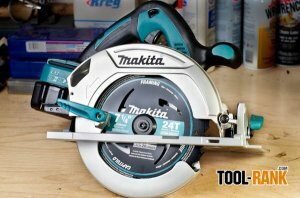 When Makita announced their new XSH01 18V X2 Circular Saw, they promised us that their saw finally delivered the power and runtime that contractors need. And to make sure it is actually true, they sent us one that we could review. I mentioned how underpowered cordless circular saws of the past have been, and that is with them using saw blades that are smaller than what we would normally use. That’s because the saws weren’t powerful enough to be able to spin a full sized blade and actually cut anything. 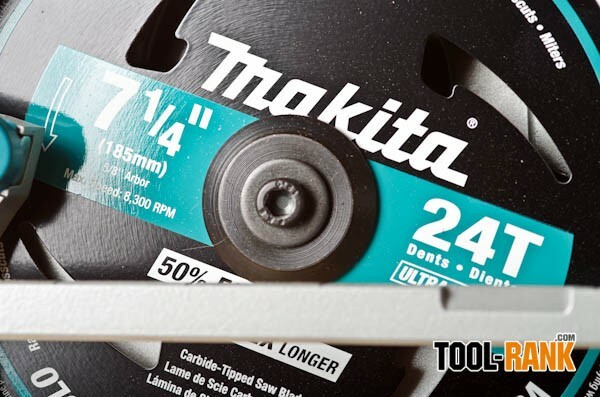 With the XSH01, Makita is the first manufacturer to bring us a full sized 7-1/4” saw that runs on batteries. 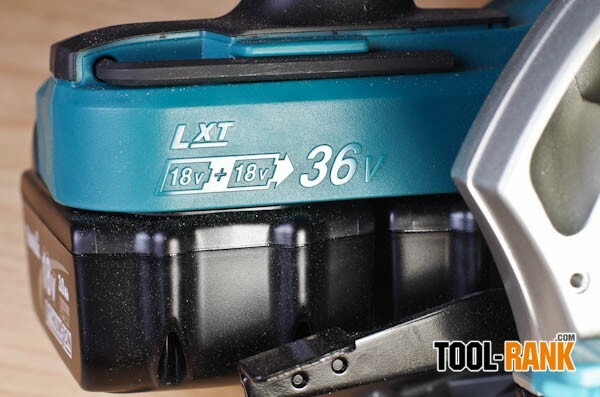 What’s more, it uses regular Makita LXT 18V batteries, only it requires two of them. At 36-volts, it is powerful enough to spin the larger 7-1/4” blades without bogging down. 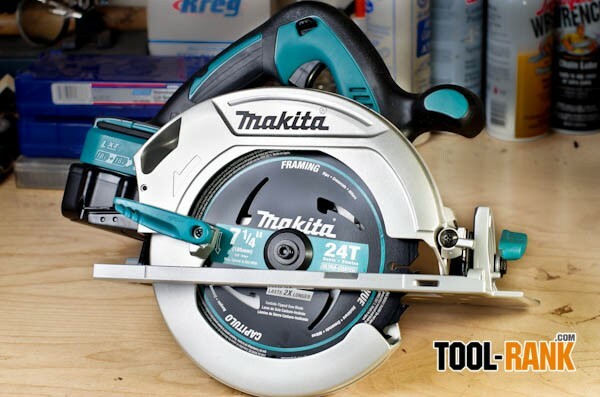 If you have ever used or seen the Makita 5007 Corded 7-1/4” circular saw, you might notice that the design of the new XSH01 is very similar. And why wouldn’t it be, the 5007 is a great saw with high marks from its users. Weighing in at 10.1 pounds, and even though it has the added weight of two 18V batteries, the XSH01 weights slightly less than the corded 5007. When I first picked up the XSH01 I was surprised at how light it was and one of my first comments was in comparing it to the 5007 in both weight and in design. 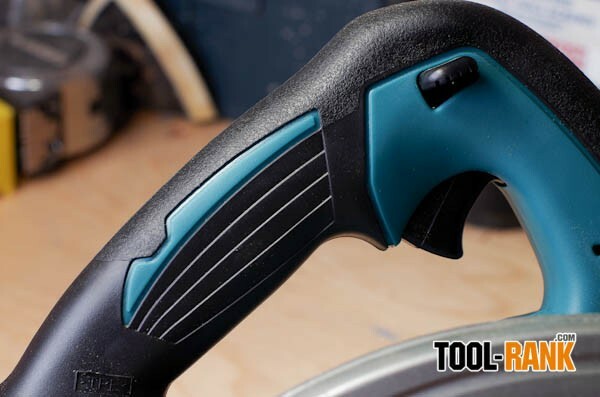 Like Makita’s corded saw, the XSH01 has all the adjustment features you would need to perform the various cutting requirements a job could demand, and the adjustment knobs are smooth as butter to operate. Far too often I have used saws that are hard to adjust, but Makita seems to get it right. Like the 5007MG, this saw also uses a magnesium base that is both, strong, and also helps keep the overall weight down. 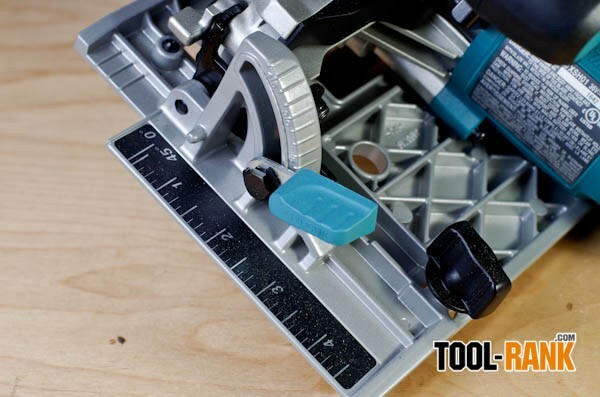 The saw can bevel up to 50-degrees, but it has a stop at 45-degrees that can easily be overridden if needed. One surprising fact about the XSH01 is that it can actually cut deeper than the corded 5007, with a full cutting depth of 2-5/8” at 90-degrees. 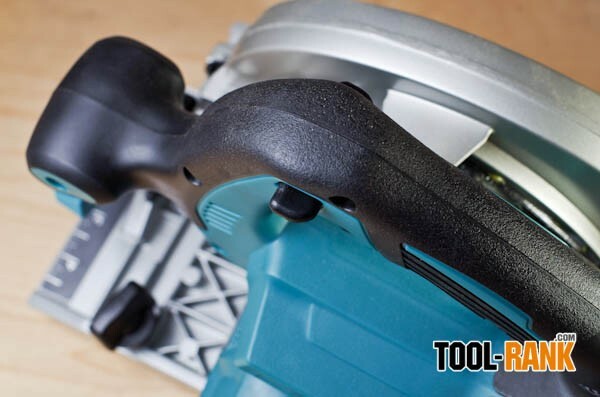 Often time’s cordless tools are inferior to their corded brethren, but this is not the case for the XSH01. Both the blade height adjustment and the bevel adjustment have incremental markings on them to make adjustments go quick and easy. Changing blades is also a snap thanks to the wrench that is conveniently stored onboard. The real question about the XSH01 is if it can compete and/or replace a regular corded 7-1/4” circular saw, but It really depends on what your needs are. 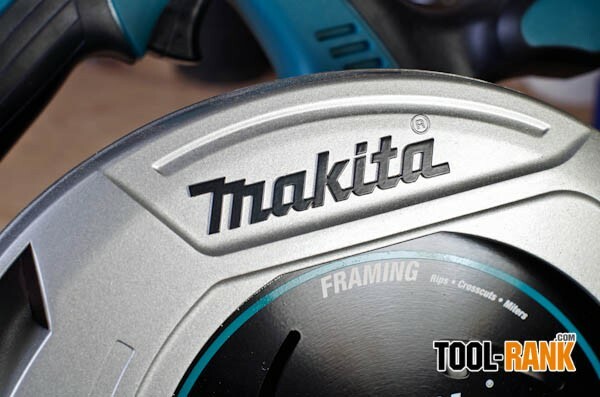 Makita says it can make up to 250 cuts into 2x4s. I didn’t have any 2x4 on hand, but what I did have was a 4x6. Obviously the saw was unable to completely cut through the material, it is too thick, but I was able to see how well it could handle being put under a full load. Let me say that from first cut until last, I did not once feel that the saw was straining to complete a cut. When all was said and done, I was able to get 97 cuts out of the two 3.0Ah batteries before they died. Once the new 4.0Ah come out, that number should increase. I imagine that if you were cutting only ¾-inch sheet goods, the batteries could probably last until lunch time, then you could charge them and be back to finish off the day. In my line of work, I could easily do it this way and not need a second set of batteries. Remember, it only takes 30 minutes to charge each battery, unfortunately X2 means that you need a total of an hour to charge both batteries. 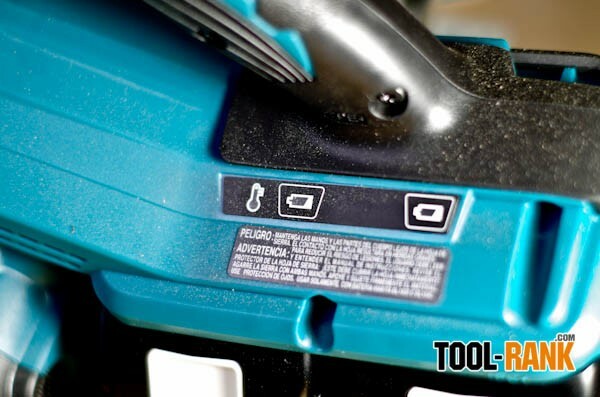 The best thing about the XSH01 is the fact that it can be used with the Makita 18V LXT batteries that you already own, and since Makita has over 80 tool that use the LXT batteries, there is a good chance that you might already own a few extra. Makita packed all kinds of load and heat protection features into the saw, but to be honest, I never felt like the saw was in any trouble. I was doing full depth cuts, one after another until the batteries died, and it never felt like the saw couldn’t handle it. I guess they kind of have to add the safety features these days because there are always those people that just don’t know how to use their tools. If it is getting hot and you don’t notice, there is a little indicator light on the saw that will let you know why the saw won’t start. Next to this light are the battery indicators that let you know when the batteries are getting low. The Makita XSH01 is a fine saw that was done right, the only thing I dislike about the saw is the placement of the dust exhaust port. It is the kind that is placed toward the back of the saw, which has a tendency of sometimes covering the user in dust. I much prefer the dust ports that are at the front of the saw and have a swivel to point the exhaust where it will do the least amount of harm. I guess the next thing on my wish list is for them to come out with a brushless version.